digital agency anything has developed a new app on behalf of Netmums, the UK’s leading parenting media brand. SeeSaw, which is available on iOS and Android, is a free app that offers parents age-related activities for their children by recognising their current location. 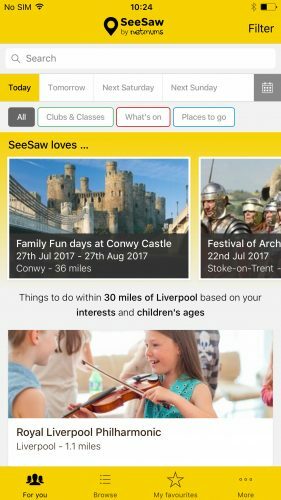 With over 140,000 searchable listings, SeeSaw was prototyped, designed and built by Manchester-based anything, which has worked as Netmums' sole digital agency for over seven years. SeeSaw has already been selected by Apple’s App Store as an ‘App we love’. anything co-founder Mark Holt said: “Following seven years of close partnership with the Netmums team we were able to swiftly develop an app for parents just in time for when the schools break up for summer. Established in 2014 and headed up by Holt and Jono Brain, anything also works with the likes of Quorn, Liverpool Philharmonic and Vets4Pets.